I recently had the privilege of publishing an article in the June issue of Peer to Peer, the International Legal Technology Association’s quarterly magazine. This issue’s theme was Law2020: Emerging Careers. It’s a fascinating read about the future of the legal practice, which, by all accounts, is going through a tremendous upheaval as a new generation of technologically advanced and entrepreneurially minded attorneys becomes industry leaders. My topic was law firm content marketing. It’s a concept few in the industry seem to understand; however, in the last couple of years, more practitioners are acknowledging that it is the initiative that will separate the winners from the losers as the legal industry finally wakes up from its 20th-century stupor and embraces the new millennium. As someone who has been an innovator in content marketing for the past decade, particularly in the legal industry, I am thrilled that the industry is finally taking note. For far too long, firms have relied on outdated marketing models that provide, at best, stagnant ROIs, lifeless copy and limited analytics. To help illuminate this seemingly nebulous topic, I am answering some of the top questions about law firm content marketing. Content marketing is marketing. I can’t think of one initiative that a marketing department would undertake that doesn’t fit within the content marketing paradigm. To be more specific, content marketing is the strategy, development, deployment and analysis of content across all channels in an effort to build community through engagement. Why is law firm content marketing important? The media industrial complexes of the past are dying. This is partly because your audiences (clients, prospects and referral sources) do not digest information the way they once did. Any media that serves as a disruptive one-way street, i.e., information is pushed onto an audience, has diminishing impact. This means advertisements, newspaper articles and magazine profiles by themselves are losing their edge. Instead, law firms need to develop strong brand identities, identify their audiences, and then develop content that reflects these brands and speaks to these audiences in a way that positions the firm to achieve its overarching business goals while inspiring engagement. By using a system of content strategy, development, distribution and analysis, content marketing transforms a law firm’s brand into an interactive community, one that audiences will actively seek out and engage with. 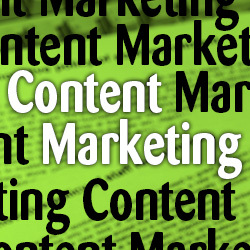 Is content marketing right for my firm? If you want your firm to remain relevant in the next decade, then, yes, content marketing is right for your firm. That said, if you want to do it right, content marketing is not something you slap together. For some firms, it will require a reevaluation of your operations, organizational structure and brand identity; it will require assessing user experience, i.e., how clients shop for and purchase legal services versus how the industry has historically sold legal services; it will require the recruitment of new personnel, e.g., content strategists, content developers, Google Analytics experts and social media managers. The good thing is that you don’t have to undergo this change alone. There are components of the content marketing workflow that firms can outsource. For instance, many firms would be wise to hire an outside consultant to help the in-house marketing team build out its content marketing program. After all, an outside set of eyes will be able to see things more clearly from the perspective of your audiences. Content development (the actual creation of the content) and distribution (management of deployment mechanisms such as social media and e-newsletters) are also easily outsourced. Do you have questions about law firm content marketing? If so, feel free to leave a comment or contact Terry M. Isner at tisner@jaffepr.com.